Two OSF HealthCare hospitals in East Central Illinois have received high marks for safety from a national watchdog group, Leapfrog. 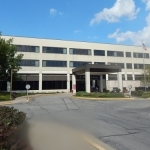 OSF HealthCare Heart of Mary Medical Center in Champaign received an ‘A’ rating and OSF HealthCare Sacred Heart Medical Center in Danville received a ‘B’ rating. ‘’We are pleased but not surprised at these high ratings,’’ said Dr. Jared Rogers, President of OSF Heart of Mary and OSF Sacred Heart. ‘’Providing the highest level of care has always been our focus and it’s great to see our efforts recognized in this way,’’ said Rogers. Hospitals are assigned letter grades of A, B, C, D, or ‘F’ based on 27 different measures of patient safety.